For those of you who don't realize this, I often help out with challenges over at the Crafting By Designs Challenge Blog. 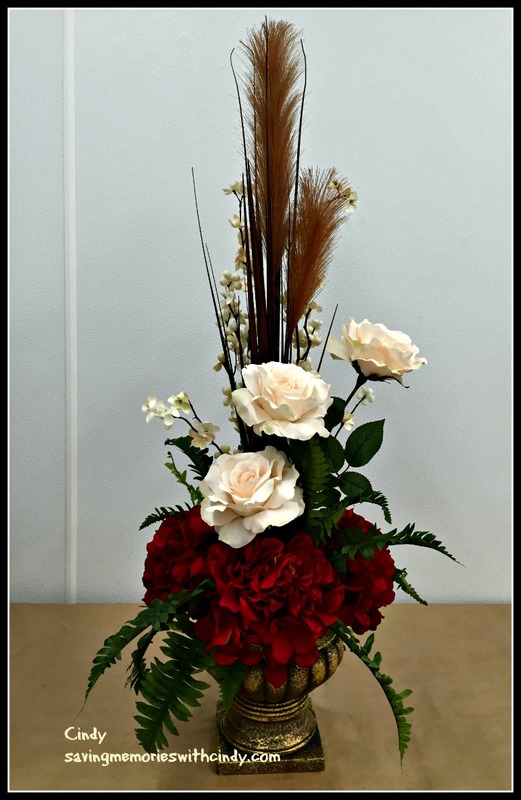 It is a group of very talents ladies who weekly offer up some really fun challenges. This week, it was my turn to host the challenge. 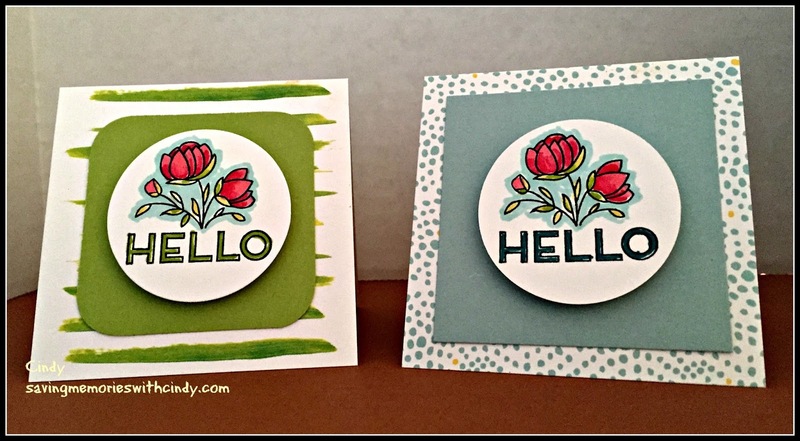 I decided that I wanted to do a "Thank You" card challenge, but I haven't been much help to those lovely ladies recently in addition to saying thank you to the many many participants on the blog. You might have notices that I am using an awful lot of For Always right now. 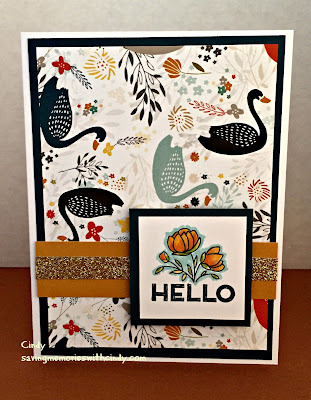 Well, that is because my monthly workshop features this paper packet and I have been busy designing card to include in class. This card features last month's CTMH Stamp of the Month, Lagoon and Pacifica card stock and For Always. 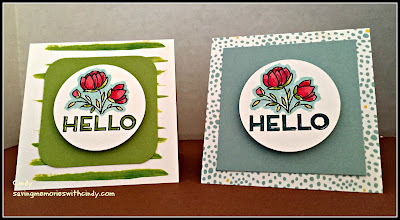 I colored the flowers using our Alcohol Markers and the Sentiment was Rock and Roll stamped with Lagoon and Pacifica inks. 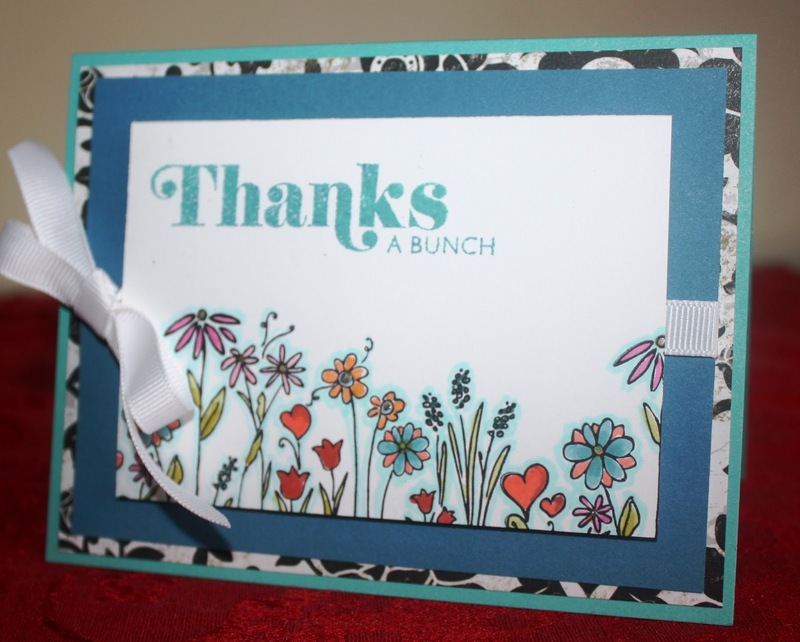 So, if you are in the mood to make a Thank You card, click on over to Crafting By Designs and add your creation! For Now, Happy Crafting!